Can you reinvent the wheel? Maybe not, but you can make a better wheel. That’s what we found when we went to Home Depot the other day. I have a drawer full of different types of pliers, the same ones you have I’m sure, but they are all different brands and different quality. 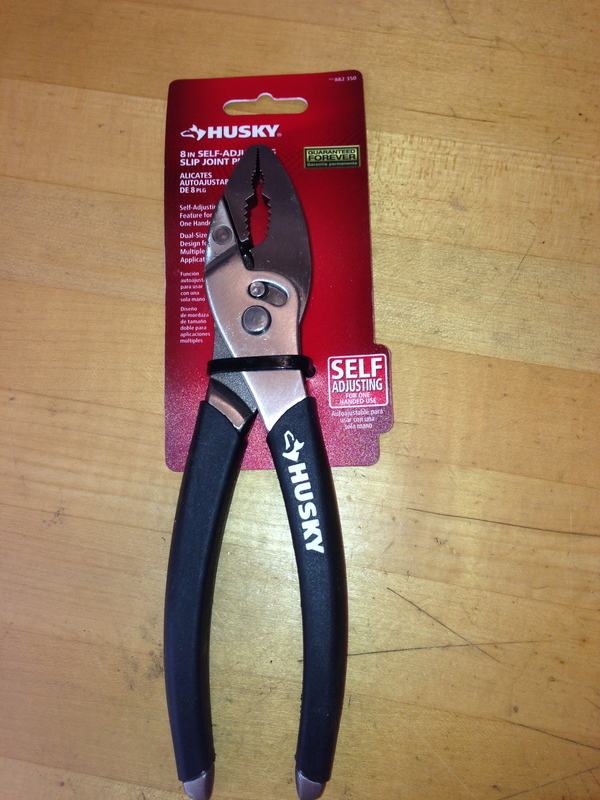 Husky Tools, found only at Home Depot, has a new line of pliers that I just had to try. 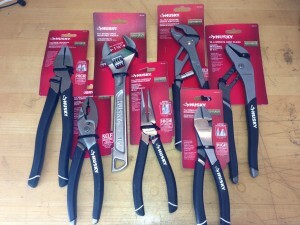 For less than $75 I got a whole new set of 7 pliers to try. I also got two sets for two of my friends to try for this review. One is a professional Home Improvement Contractor, one is a guy who rebuilds car engines just for something to do one the weekends, and me, A DIY’er who works around the house. So, what tools did I get? 7” Diagonal Cutters, (I call them wire cutters), 10” Groove Joint Pliers, 8” Long Nose Pliers, 8” Self Adjusting Slip Joint Pliers, 10” Self Adjusting Groove Joint Pliers, 9” Linesman Pliers, and 10” Double Speed Adjustable Wrench. With these 7 tools, you can handle just about any job. It was hard to determine which ones we liked the best, because we liked them all, but this is the order we decided on, and why. 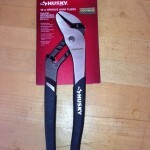 Without a doubt, these are the best Linesman Pliers we have ever used. The first thing you will notice is the fact that the handles are longer which gives you a lot more leverage when you need to cut a thick wire. Also, the handles are a thick, cushioned rubber, not just dipped into hot plastic. They pasted the “nail test” too. We cut a nail in two, and the cutters looked like new. 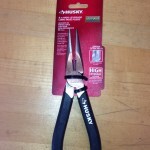 The tooth design on the pliers gripped much better especially when we tried to turn the end of a group of thick wires. These pliers are amazing. We looked for things to use these them on because they are so easy to use. Normal tongue and groove pliers take two hands to adjust, and you usually have to try a couple of times to get the right “groove” for the job. Not these. Open them up and they automatically adjust to what ever you are trying to grip. 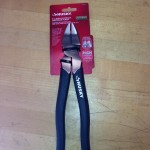 These pliers also have thick, rubber handles for more comfort and grip. 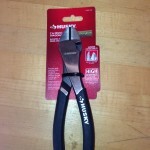 Again, these pliers are amazing. 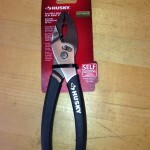 Most slip joint pliers take two hands to adjust. Not these. Open them up and they self adjust to the proper size for the job. They have very aggressive jaw design for extra grip, and they really fit well into tight spaces. I know I’ve said it before, but the thick, rubber handles are far more comfortable and give you a better grip than the dipped handles on most tools. 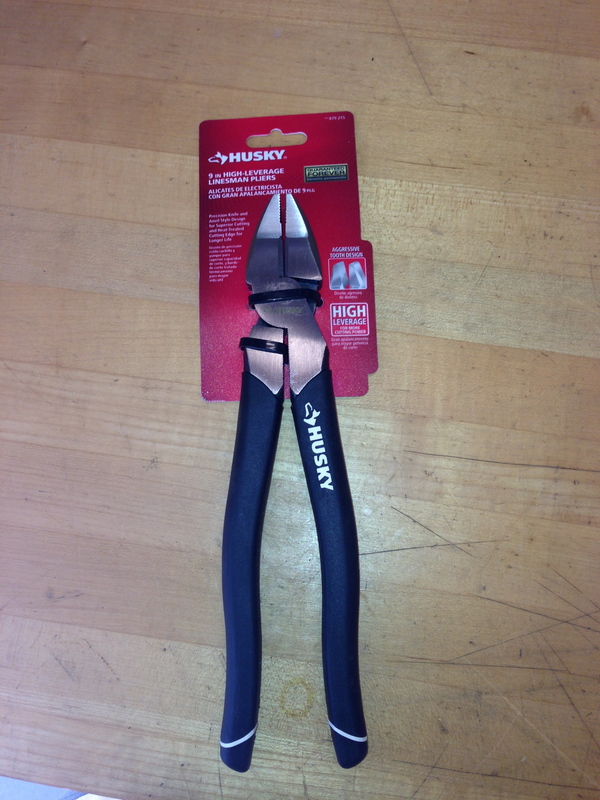 Wire cutters, as I call them, but these “wire cutters” can cut nails…I tried. Longer handles give you better leverage, and I think they must heat treat the cutting edges because there is zero sign of the cutting edge being damaged after cutting the nails. The cutting edge is very close to the edge too, which lets you cut things off very close to the surface. 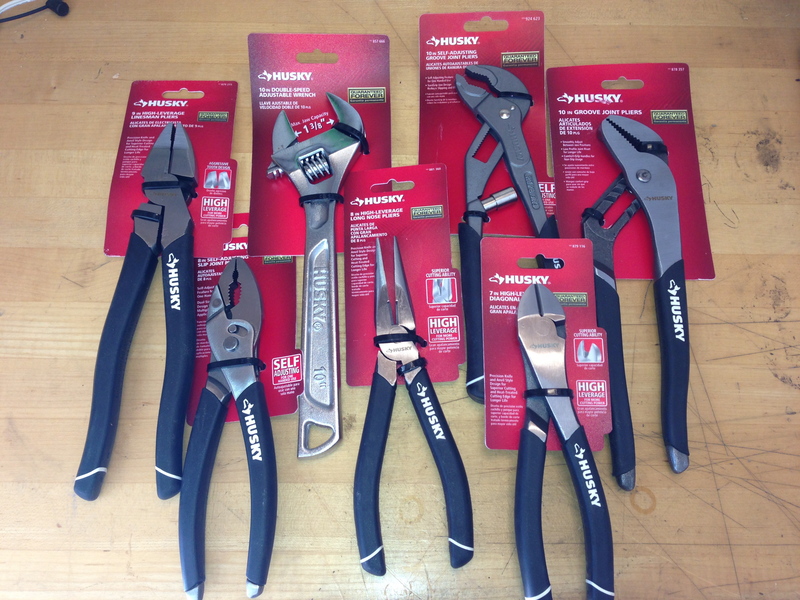 Rubberized, comfort grips are on these pliers too, and it really makes a difference. Now we are into the pliers that maybe aren’t as revolutionary as the 9” Linesman Pliers, the 10” Self Adjusting Groove Joint Pliers and the, 8” Self Adjusting Slip Joint Pliers, but these are the best Long Nose pliers we have used. I think it’s because they have the rubberized, no-slip, thick handles, plus the cutting edge is as strong as we have ever used. They must have heat treated the edges too, because they are really tough. Speed and smoothness of the adjustment screw, that’s what makes this tool stand out. 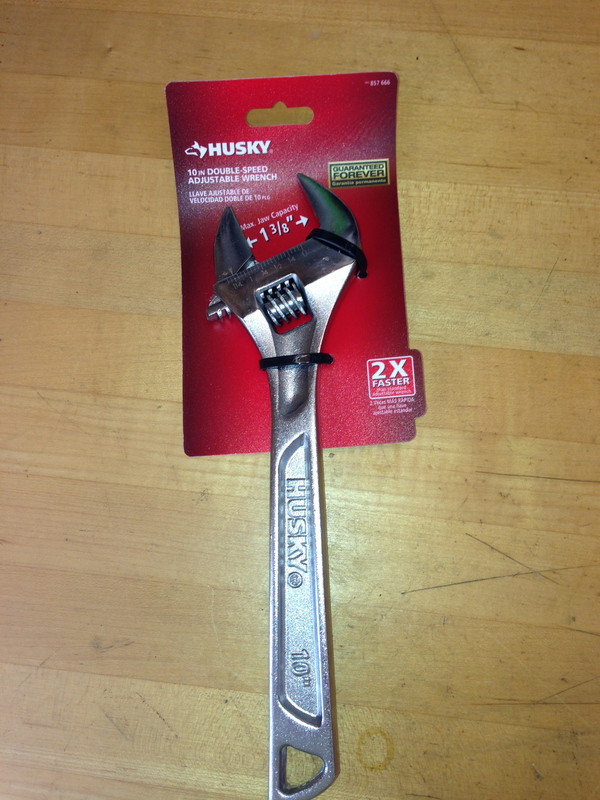 This tool will adjust 2X’s as fast as a normal adjustable wrench, and it is much smoother. The wider jaw capacity is much stronger too. A lot of times you really can’t use an adjustable wrench because it doesn’t have enough holding power, but this tool does. 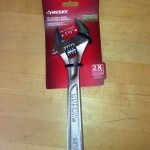 Our professional contractor said, “now I can carry in just one wrench to take care of just about anything I run into, it’s the only wrench I need to put in my bucket”. These pliers are pretty much “me too” pliers when it comes to tongue and groove pliers, but two things make them better than most. Once again, the rubberized, no-slip, thick handles are much better, and the adjustment grooves are much smoother. 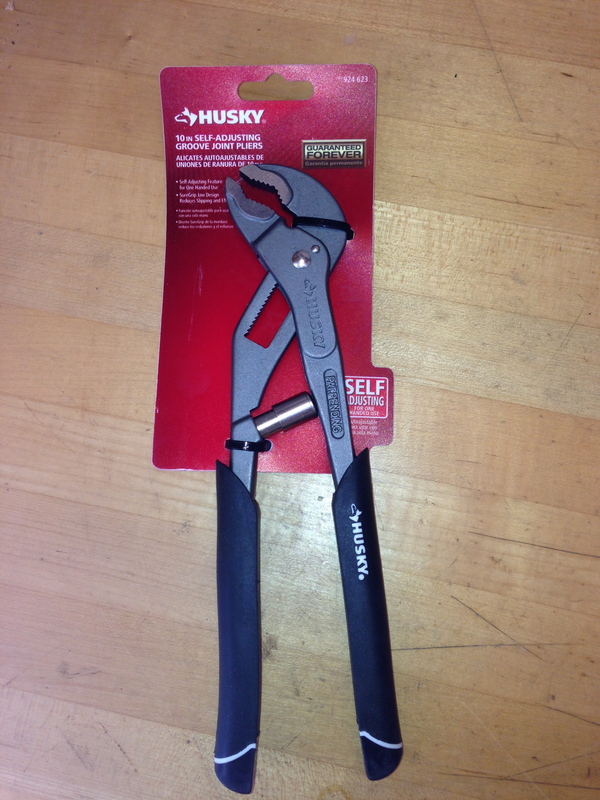 You still have to use two hands to adjust them, (unlike the 10” Self Adjusting Groove Joint Pliers) but these are very good pliers. Ok, that’s it. 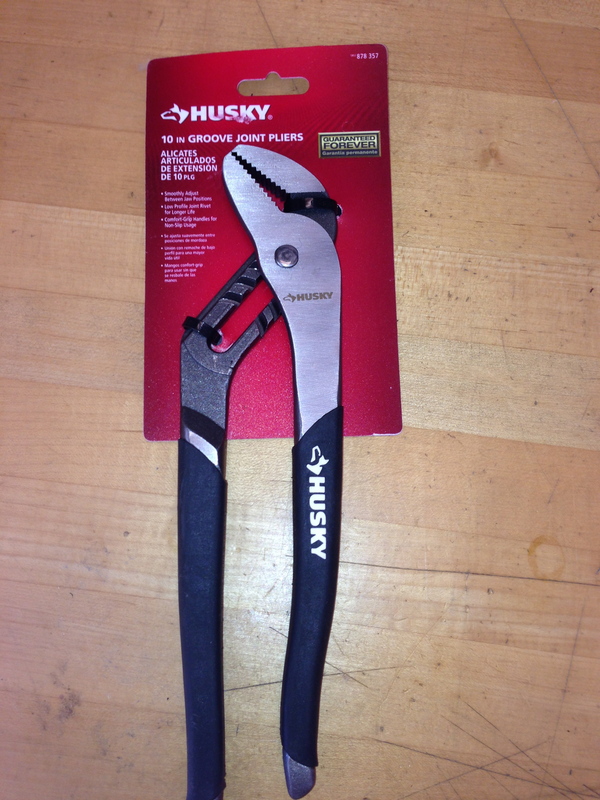 Did Husky “reinvent the wheel” with these pliers? 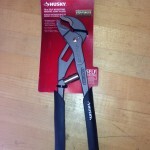 Maybe not, but they sure have made a much better wheel with these pliers. Do yourself a favor and go to your local Home Depot store and check out these pliers for yourself, you will see what we are talking about. 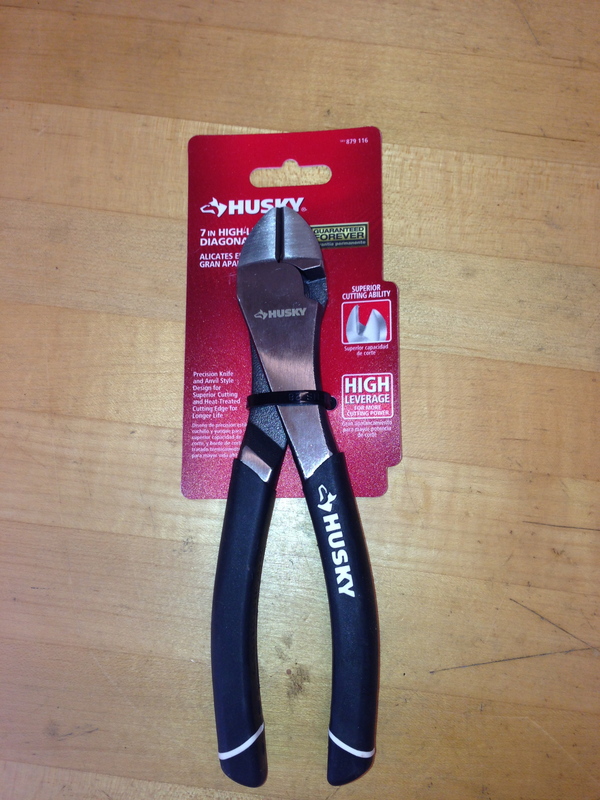 We have taken our old, mixed brand of pliers and replaced them all with these pliers from Husky and Home Depot. 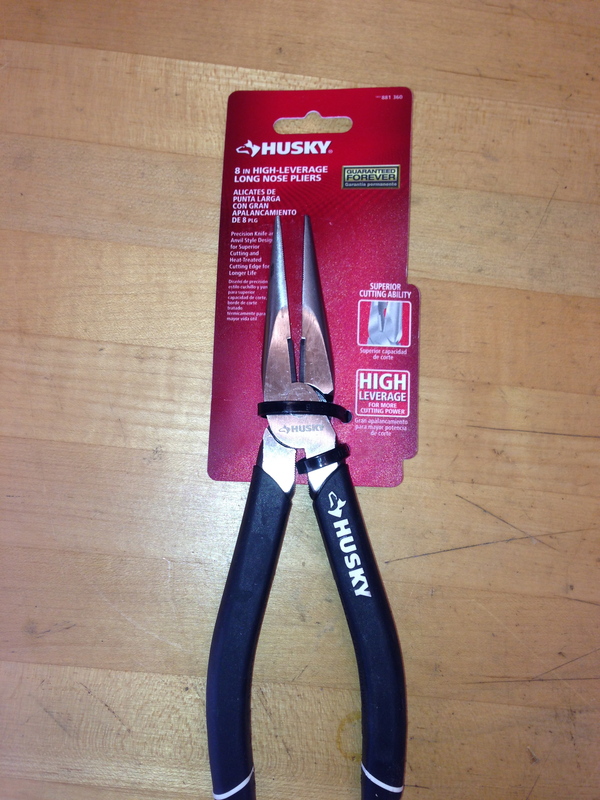 To promote their Husky products The Home Depot provided us with product samples for review consideration. They did not tell us what to say about the products. The Home Depot believes that consumers and bloggers are free to form their own opinions and share them in their own words. The Home Depot’s policies align with WOMMA Ethics Code, FTC guidelines and social media engagement recommendations. « LENOX introduces Speed Slot, the best hole saw ever, and you heard about it first at Toolcrib.com.